Alex Wilkerson has his nose in the flowers. He’s not picking roses. 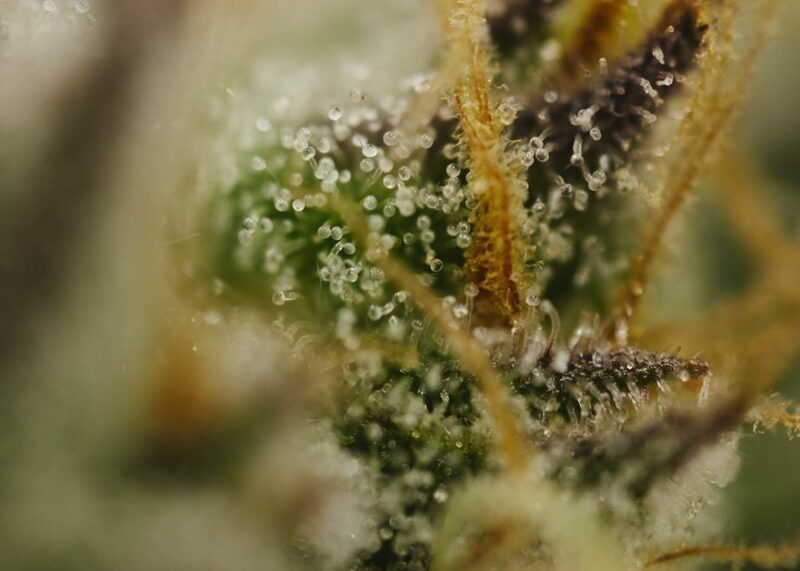 Instead, Wilkerson inhales the rich terpene profiles of the latest cannabis strains that THC Design has in the works. “It’s got a great nose,” Wilkerson says of a batch of Purple Punch. 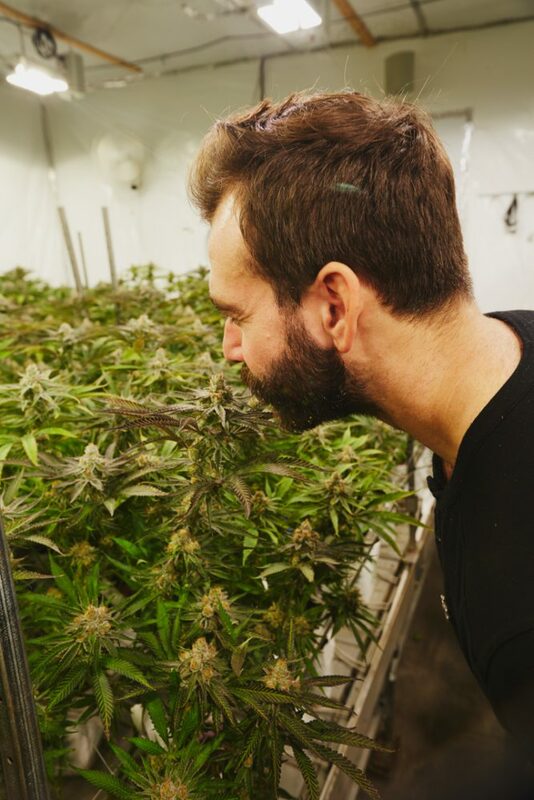 THC Design Head Cultivator, Alex Wilkerson, samples the nose of Platinum Scout, one of THC Design’s cornerstone strains. 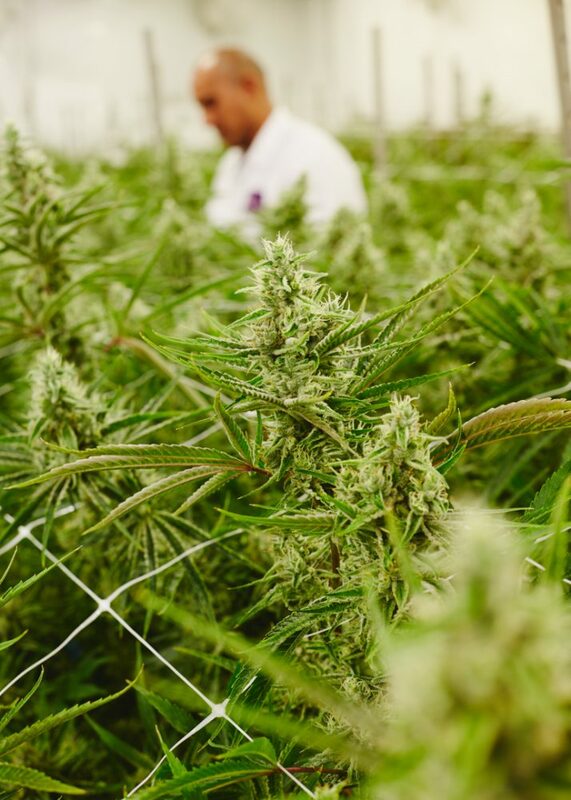 The way that THC Designs’ team talks about cannabis is not unlike the way sommeliers talk about fine wine, which underscores just how seriously they take this plant. 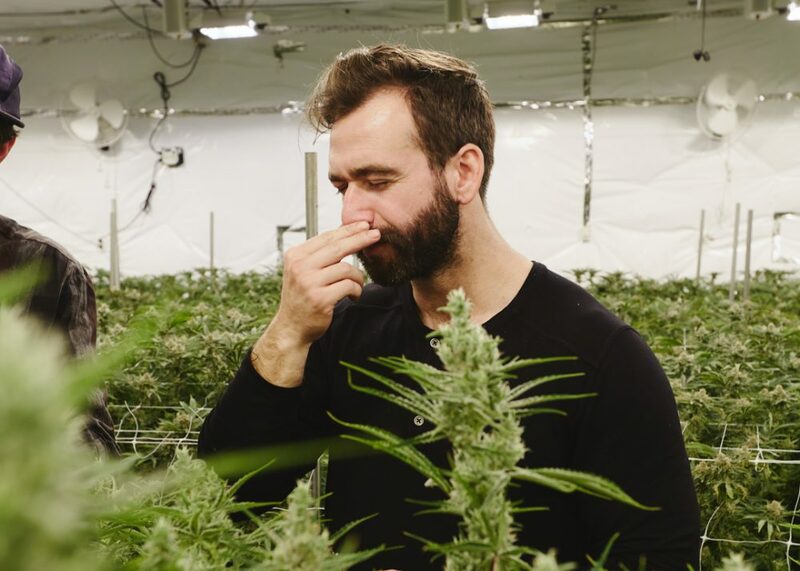 A candid conversation about cannabis’ complex aroma and tasting notes were somewhat rare in the cannabis community, which has previously used terms like “dank” to describe a bag of weed’s characteristics. That’s exactly what the folks at THC Design are hoping to change. THC Design Co-Founder and Head of Sales, Jairia Pass, poses in the mother room at their HQ in downtown LA. 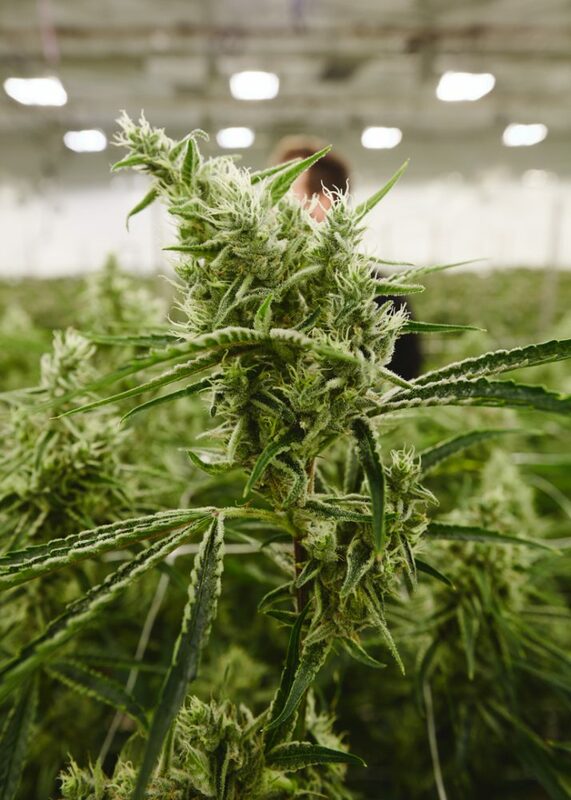 That connection to cannabis is evident in seemingly every conversation that Pass and her team have. 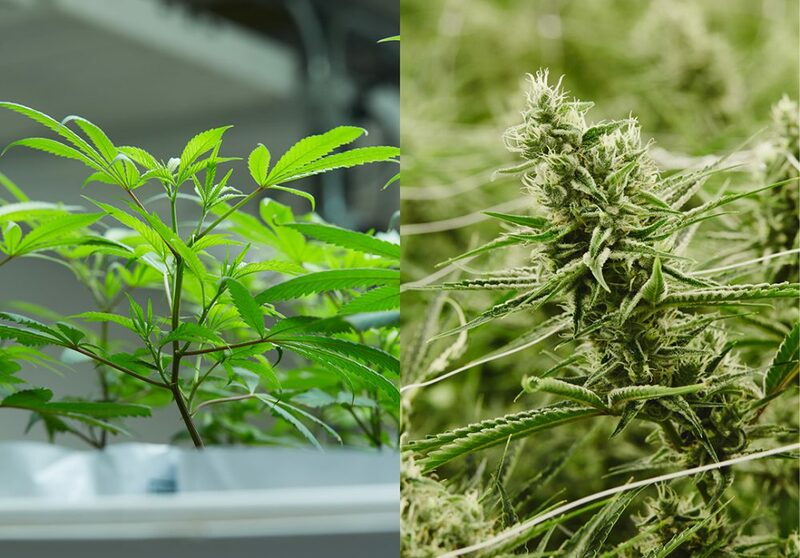 While other cannabis cultivators may be focused on producing the most intoxicating buds possible, the team at THC Design have other plans in mind. 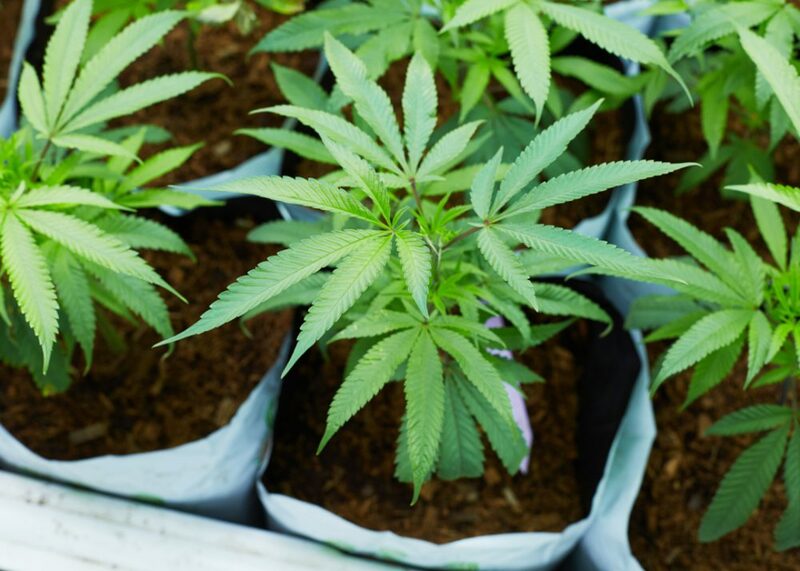 For them, potency is important – but it’s not the only goal. 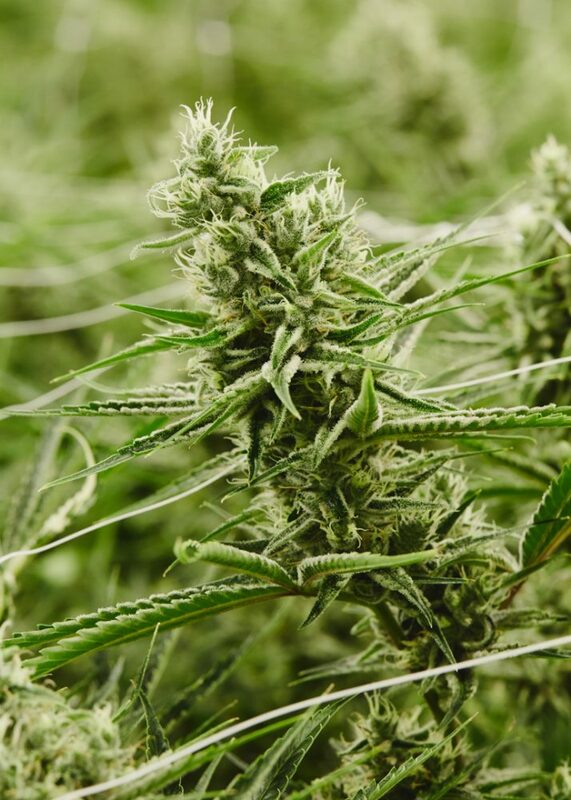 “We want to represent what cannabis isn’t usually represented as. Something that’s a benefit for society, something that can be used to help others,” Wilkerson said. 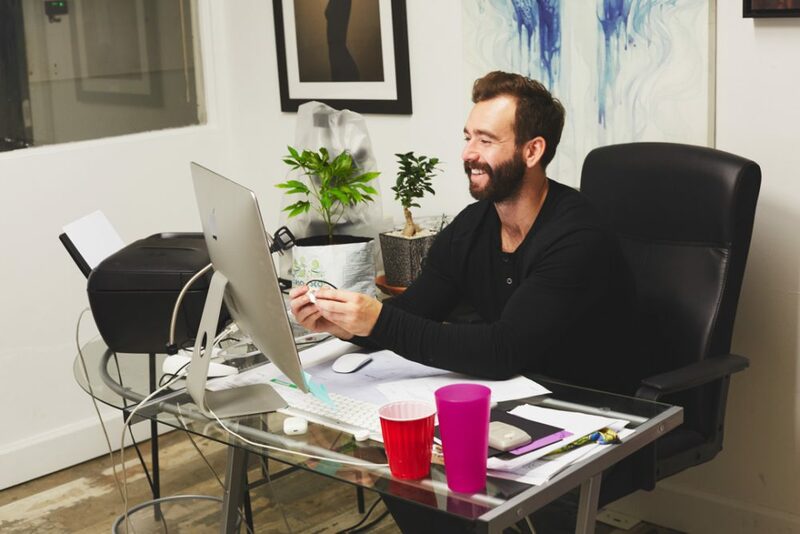 That level of enthusiasm for cannabis is what THC Design is all about. 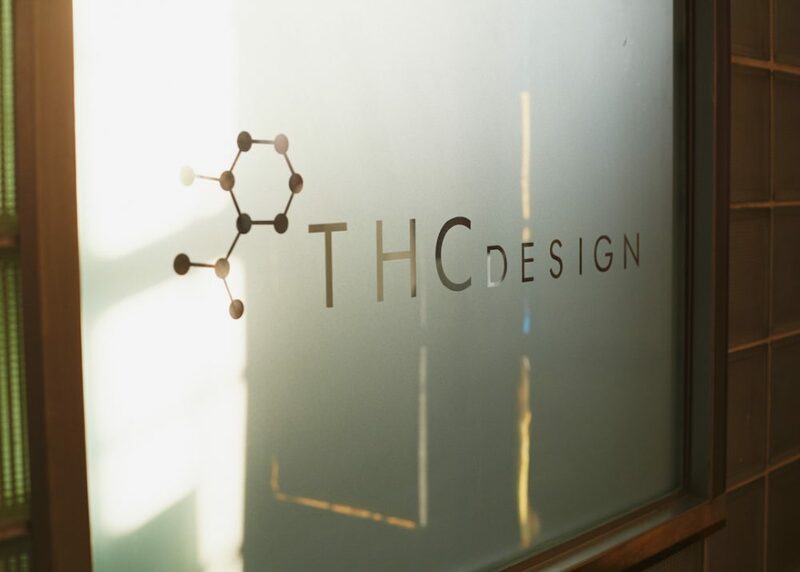 First and foremost, the team at THC Design wants you to know that they care about cannabis because they value cannabis consumers. Jairia Pass, Co-Founder of THC Design, likes to take a little personal time each day in the mother room. 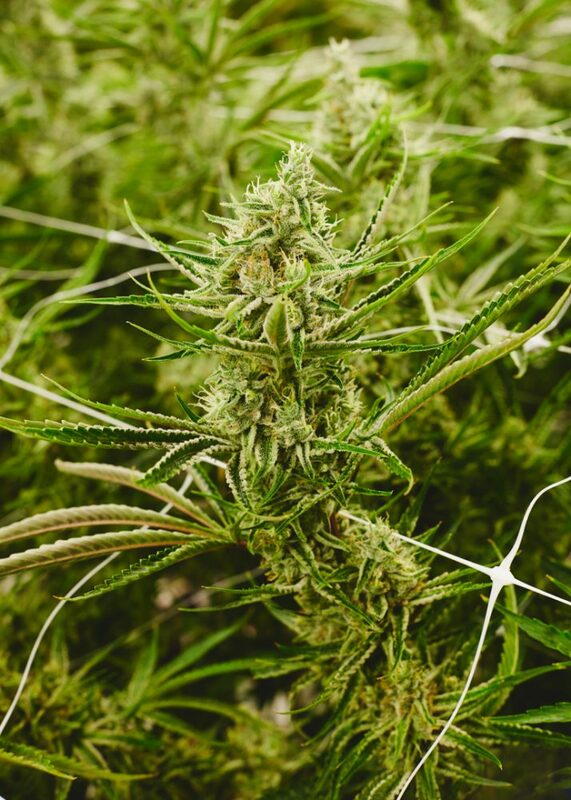 The people behind THC Design have been growing cannabis for over a decade. 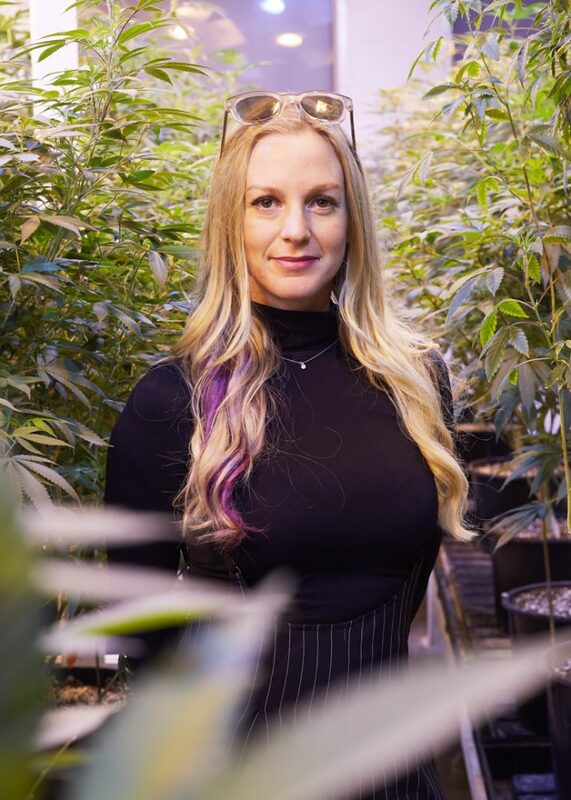 Pass, the company’s co-founder, began her passion for cannabis in Oklahoma. 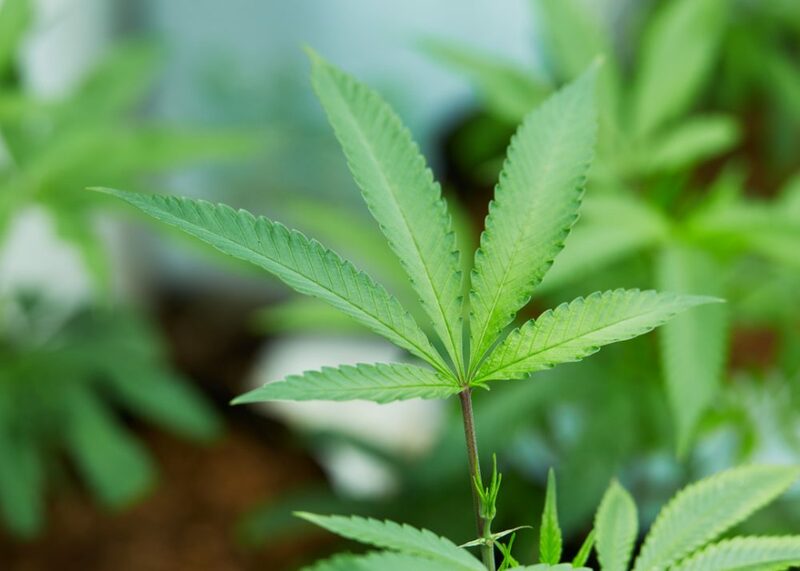 But she quickly found that Southern California was a more hospitable place to plant roots and fully embrace the possibilities of this sacred plant. 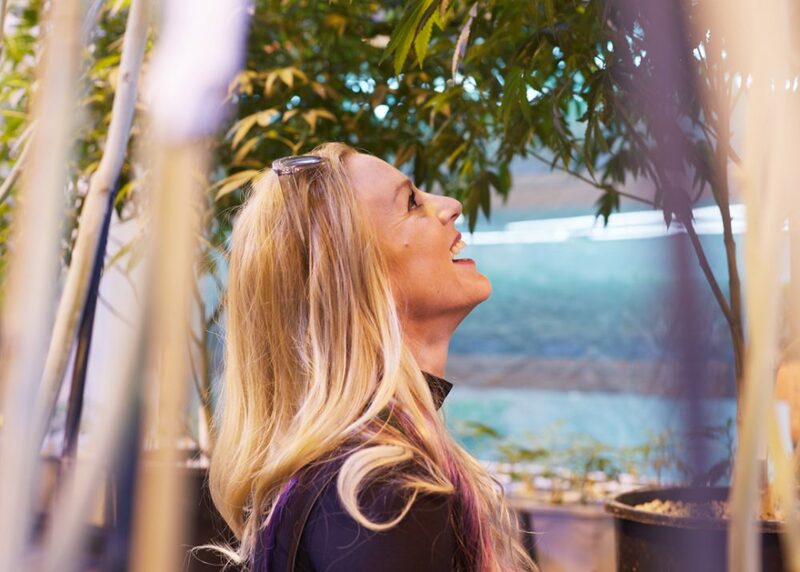 Pass’s experience and her passion for high-quality cannabis are evident when you smell, see and taste the buds and pre-rolls THC Design produces. 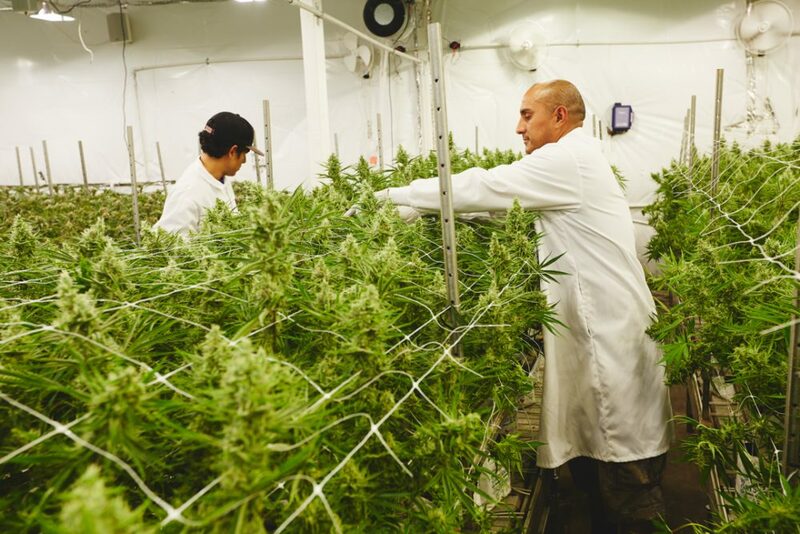 They’ve studied the genetics behind every strain they sell in order to create a premium product for consumers and consistent medicine for medical cannabis patients. 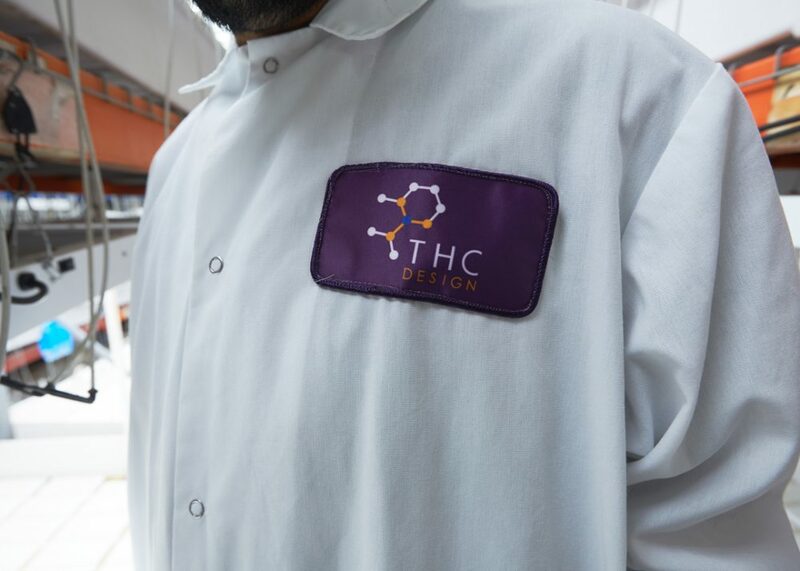 THC Design controls their genetics throughout the entire growth process. 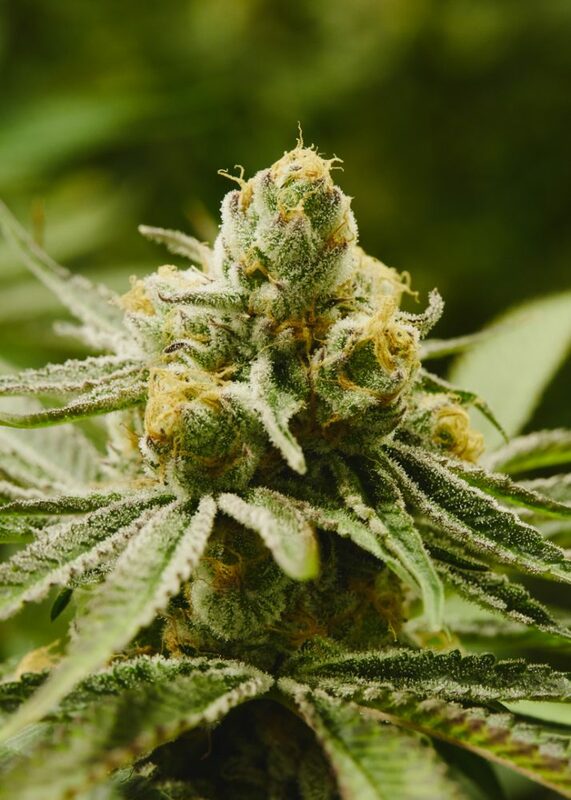 Pictured is cornerstone strain, Platinum Scout. 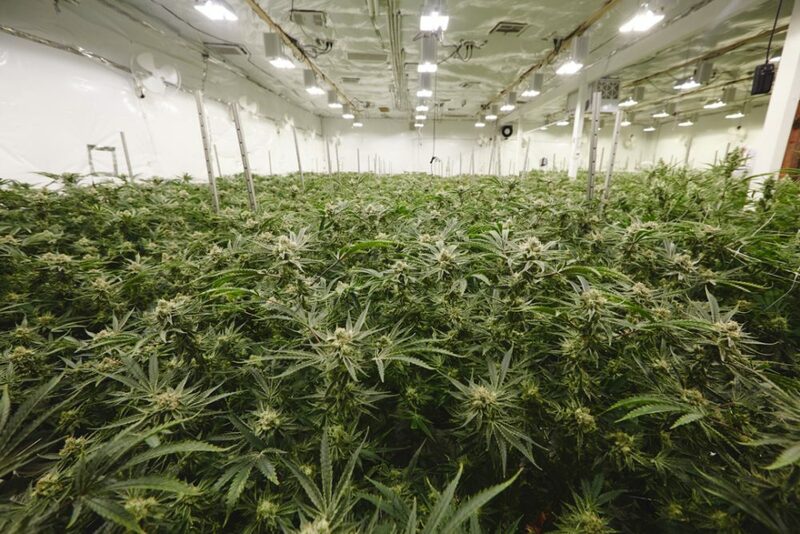 One of THC Design’s several grow rooms, containing around 430 plants. 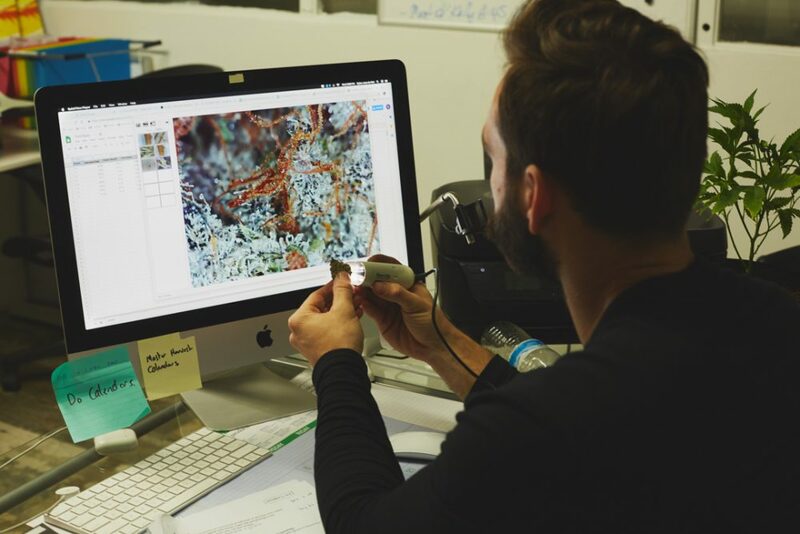 Fine tuning their plants’ genetics isn’t the only thing that the THC Design team is focusing on. 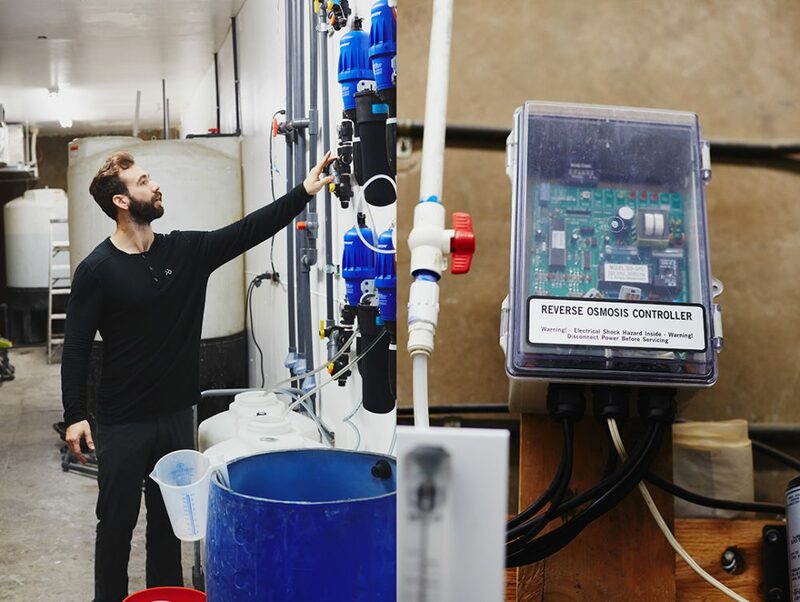 They also want to be as environmentally sustainable as possible – a breath of fresh air in this arid, drought-prone region of Southern California. 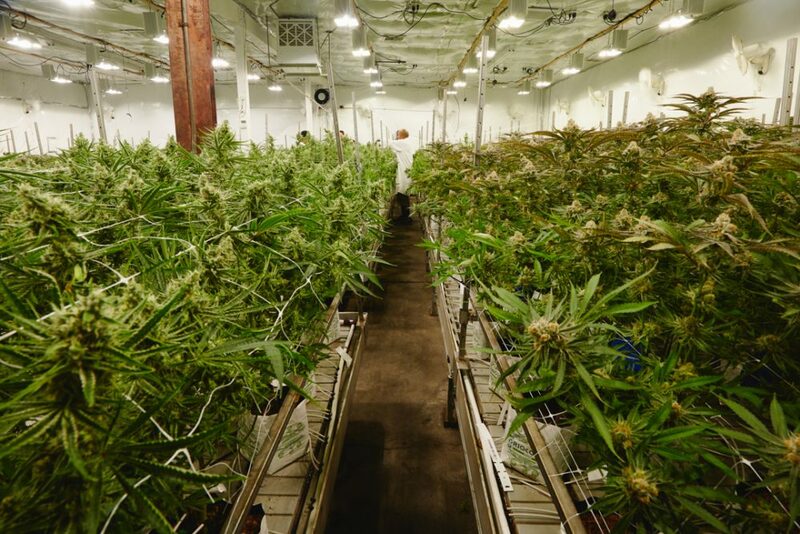 Unlike many grow operations, THC Design’s growing facility is as close to waste-free as you can get. They use HVAC systems to capture moisture from the air, including moisture that the plants themselves release. 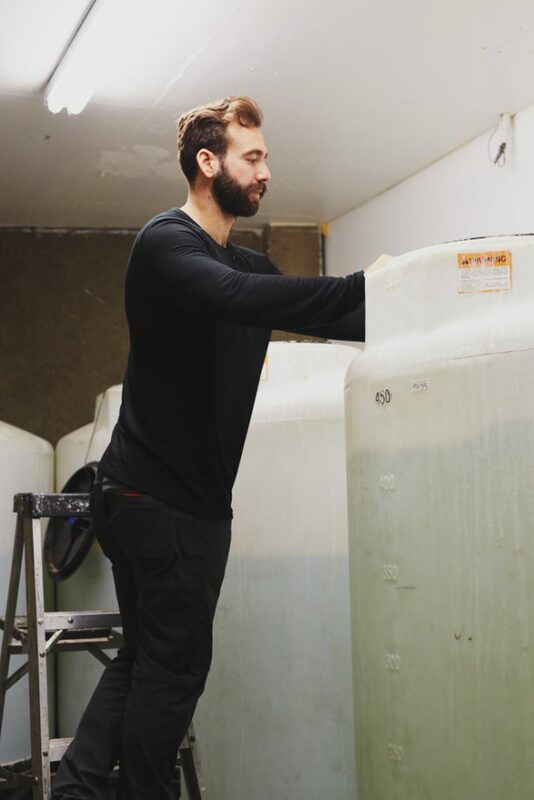 Water is essentially being harvested, sterilized, and recycled within a closed system. 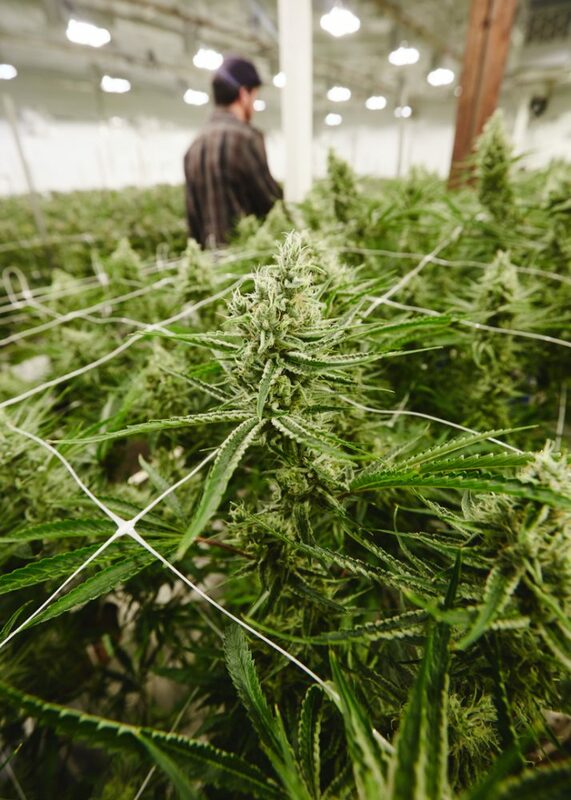 THC Design employs a full closed-water system, recycling a large portion of the plant’s precipitation. In addition to sustainability, the THC Design team also wants to focus on education. 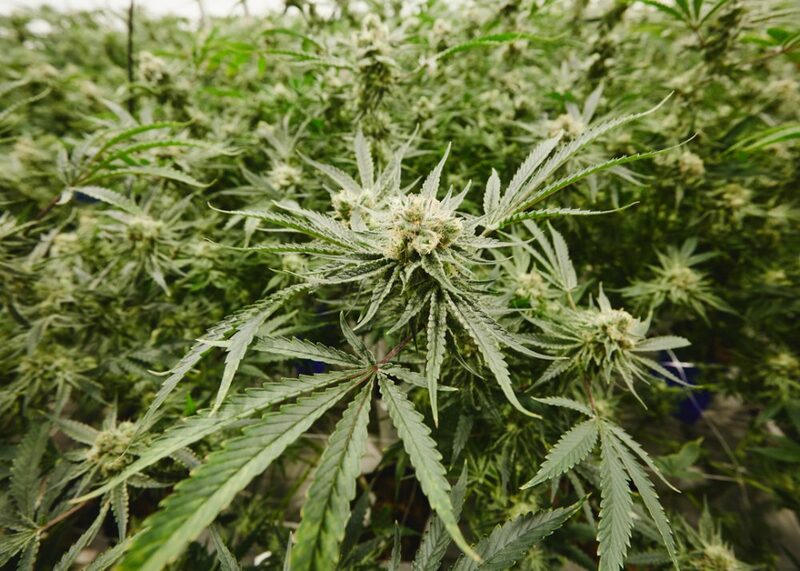 They work with policymakers to make them better informed when it comes to the benefits of cannabis, advocating for legislative reform at the local level as well as the national level. 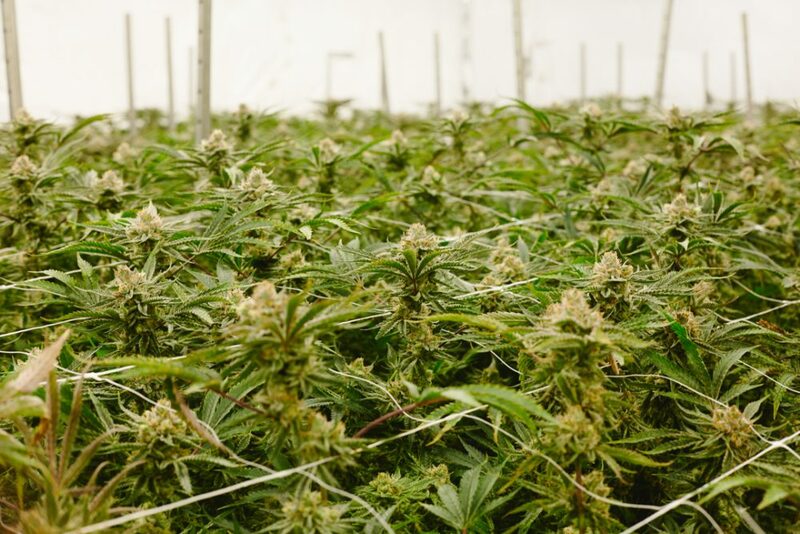 They’re also hoping to educate cannabis consumers on how to be more self-sufficient, with their popular “Grow Girl” series of online educational content. 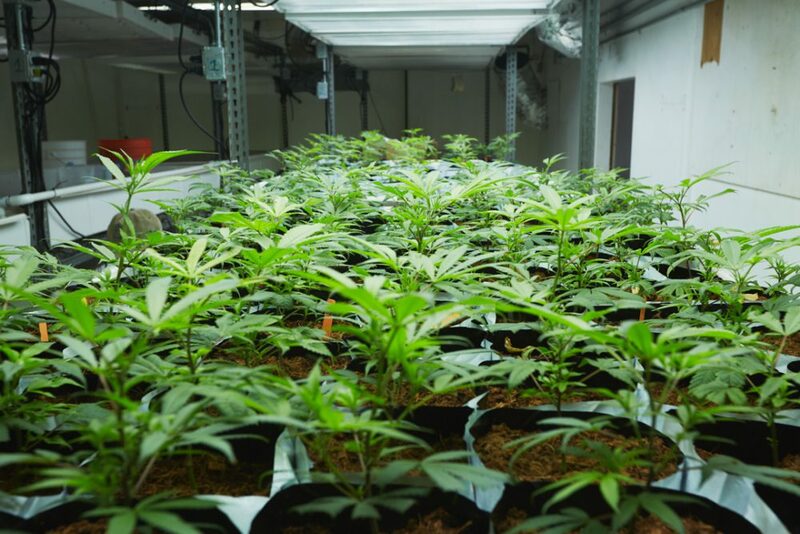 The Grow Girl series instructs viewers on how to sustainably grow their own cannabis plants at home. 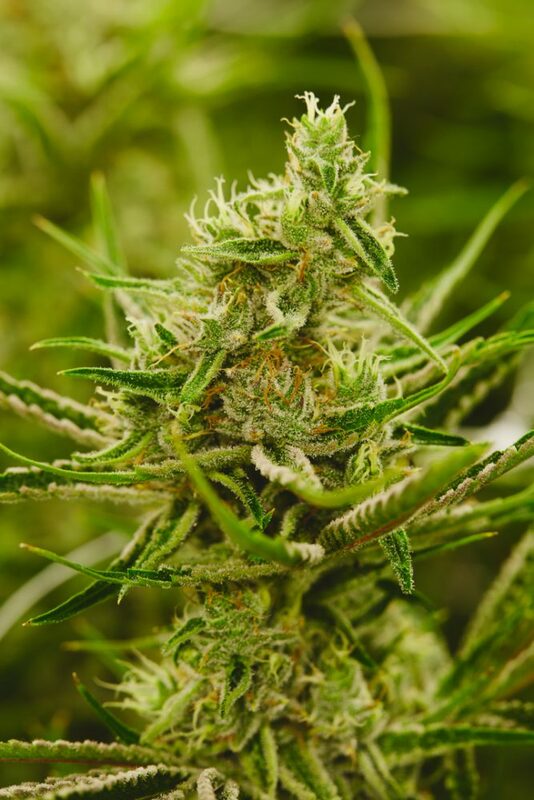 Even if you haven’t tried THC Design’s products, you’ve certainly seen them in your local dispensary. 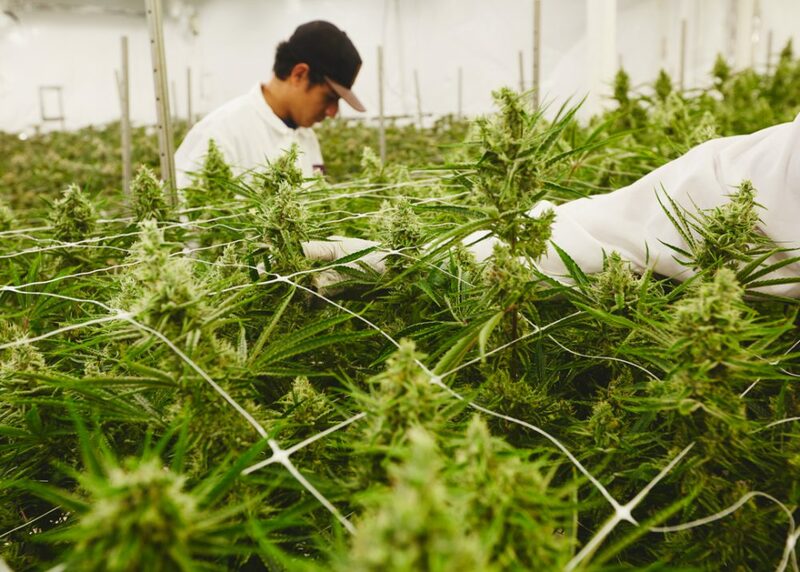 Their pre-rolls, gram bags, and prepackaged eighths are labeled with the brand’s easily recognizable logo that includes the delta-9-THC molecule, with pre-rolls delivered in slim, discreet metal tins that are reminiscent of old-fashioned cigarette cases. 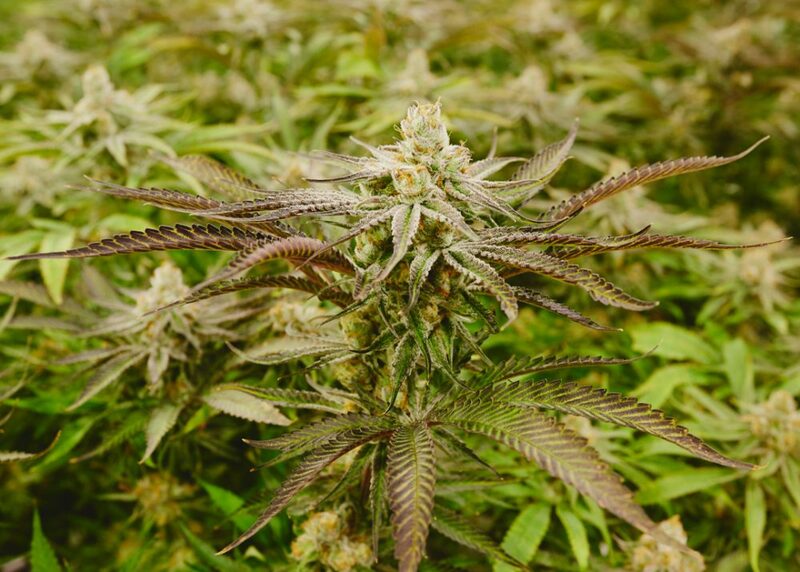 Sativas are labeled with green lettering on the logo, hybrids are orange-yellow, and indicas are a calming shade of purple. 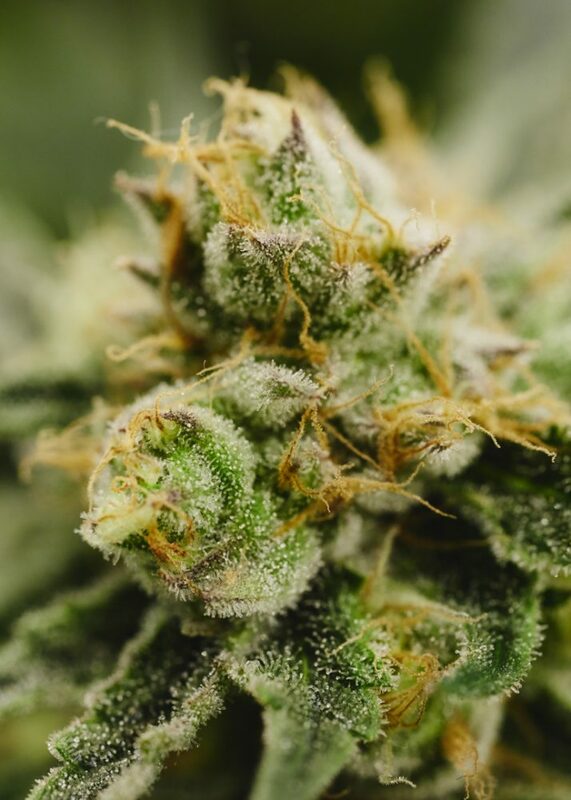 Try a pre-roll or a prepackaged flower varietal from THC Design through Nugg and see for yourself how quality-crafted cannabis can help you focus on your own sense of wellness. Then check out the brand’s website at www.thcdesign.com to learn more about what elevates this brand above the competition. 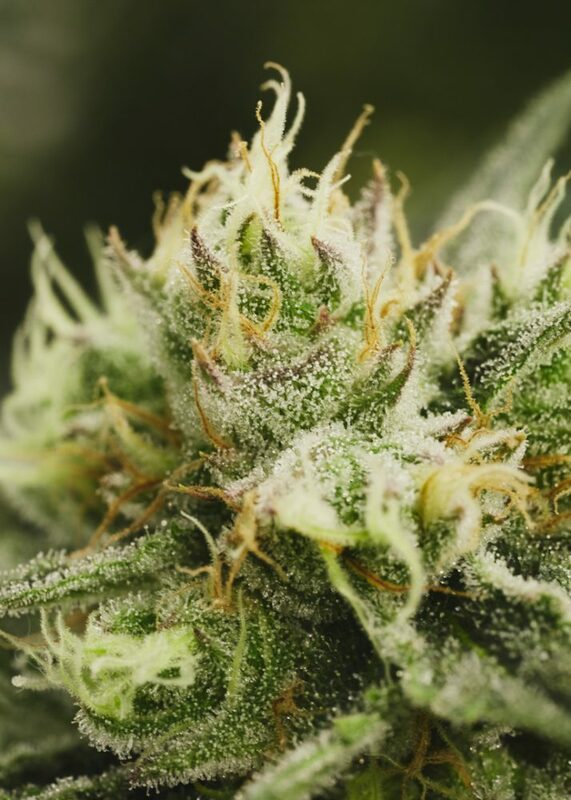 THC Design’s Purple Punch strain in full, glorious, flower.